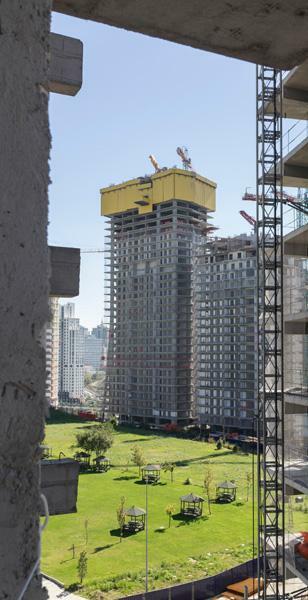 Doka is forming new district of İstanbul. Currently, there is a major project ongoing in İstanbul. This new district, which is located on a land of 325.000 square meter and contains its own office buildings, residences, a hotel, a contemporary shopping mall and a city entertainment center in it, is called Ağaoğlu Maslak 1453. Doka has been creating formwork solutions for 5 skyscrapers with unique architectural features. İstanbul, the touristic metropolitan area at the heart of Turkey, is soon attaining a contemporary district that is the perfect collage of traditions and culture with an environmentally sustainable structure style. 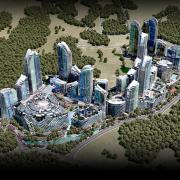 Within this project, 24 residence and office towers, the highest one is 185 m, take place. 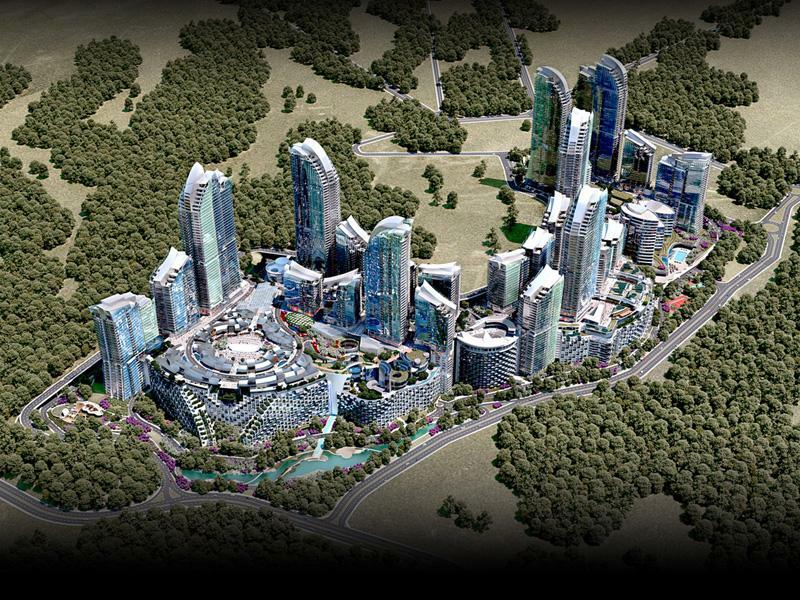 Once Maslak 1453 is finished, it will include almost 4800 residences, offices and 500 stores. 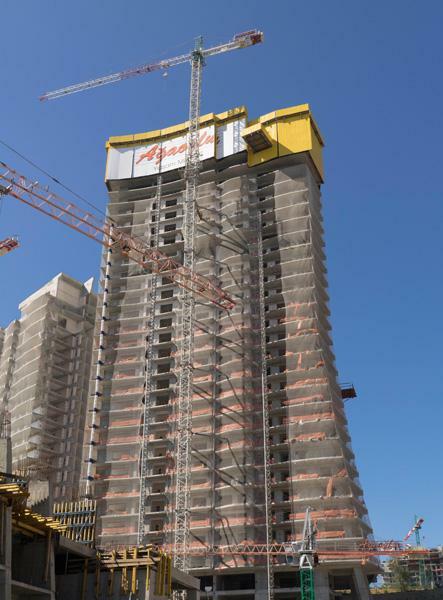 Contractor of the project, Akdeniz Construction Inc. is counting on Doka’s international experience that has made it a formwork expert over the years. The formwortk experts with its headquarters in Amstetten, Austria are going to create unique solutions that suit the different architecture designs of the buildings. Thereby, a monolithic structure style is going to come up for 5 skyscrapers which are the highest buildings of the whole project. In this case, the shaft and the slab are considered to be concrete-casted at the same time. By the way, with this project, self-climbing formwork is going to celebrate its premiere in İstanbul. Under favour of this formwork system, a very short cycle time which accelerates the process of construction is procured. Each floor is casted in approximately six working days. The İstanbul Premiere of Self-Climbing Formwork. 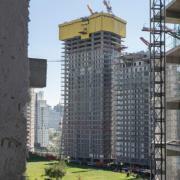 Doka Turkey achieved to convince the contractor to use Doka’s efficient formwork solutions with a completely perfect timing along with its services. 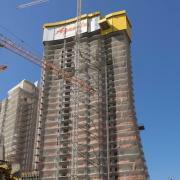 No offers had been submitted that guarantee a shorter constructing cycle time than Doka’s self-climbing formwork does. The building cores are going to be formed with Self-climbing platform SCP and Large-area formwork Top 50. SCP is fully trustworthy and high-performanced with its load-bearing capacity of 40 tons. To mention the costs, it is a fact that necessity of the total amount of the materials will decrease and the labor costs will be lower. Since the repositioning of the formwork is executed automatically but not by a crane, the costs are going to be decreased even lower. Automatic climbing protection screen Xclimb 60 is providing security for all of the employees against all kinds of weather circumstances like storms or winds at every levels of height. Flexible floor formwork system Dokaflex makes floor surfaces of 2.000 m². Load-bearing tower d2 carries out a duty of support with its easy assembly and high load bearing capacity. 20 sets of Column formwork Top 50 ensure smooth and rapid progress on building the walls. Doka-foremen are ready on site to offer their assistance for the assembly process and also to inform the labor about the materials and how to use the Self-climbing formwork properly. “A certain info and experience is required to use the Self-climbing formwork. At this very point, booklets and user information guides in Turkish helps us all very much”, add Ardalı and Eryılmaz to their statement. The contractor would like to underline their claim about being environmentally sustainable by getting the LEED Gold Award (Leadership in Energy and Environmental Design). LEED certificate is given to the construction projects which manage to overcome so many tough conditions and reach the environment standards. The completion date is considered to be December 2015. Thank you for your interest - Doka is forming new district of İstanbul.. Thank you very much for your interest - Doka is forming new district of İstanbul..